These homemade fudgsicles utilize those over-ripe bananas you might have lying around. The bananas give the popsicles a creamy texture and natural sweetness. 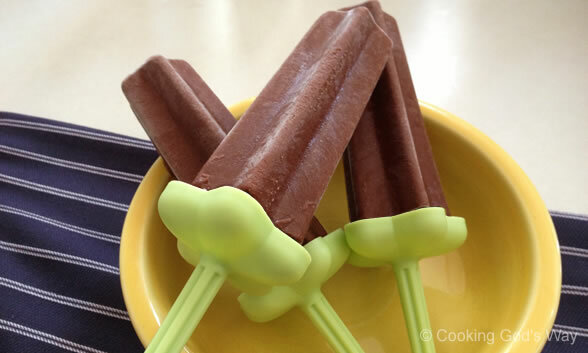 These easy to make fudgsicles are a healthy, yet tasty treat that everyone will enjoy. Peel the bananas and add to a blender with your milk of choice. Blend until smooth. Add in vanilla, salt and cocoa powder and process again until well blended. Taste-test the mixture for sweetness. 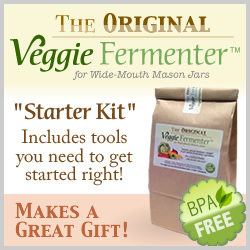 If desired add a few drops of liquid stevia or some maple syrup/honey to taste, processing again to combine. Pour mixture into popsicle molds and freeze for several hours or overnight, until frozen through. Tip: For easier release from the popsicle molds, run under lukewarm water for several seconds to loosen. Makes 5 to 6 Popsicles.